How to think about your skills, and what type of job you really want. How to identify “Target Companies” in your area. When should you ask for help in your job search? Why have sites like LinkedIn become so important? Coaching Note: A new way to think about goals. Bob the CPA: This is Abacus. I’m Bob the CPA. Today I’m talking with job search strategist, Hannah Morgan. She let me pick her brain about the five simple things you can start doing today, to not only speed up your job search, but also get better results. Hannah Morgan: If it’s been a couple of years or more since you’ve last looked for a job, you need a refresher. You need to update your knowledge around how job search is happening, and what those trends are. 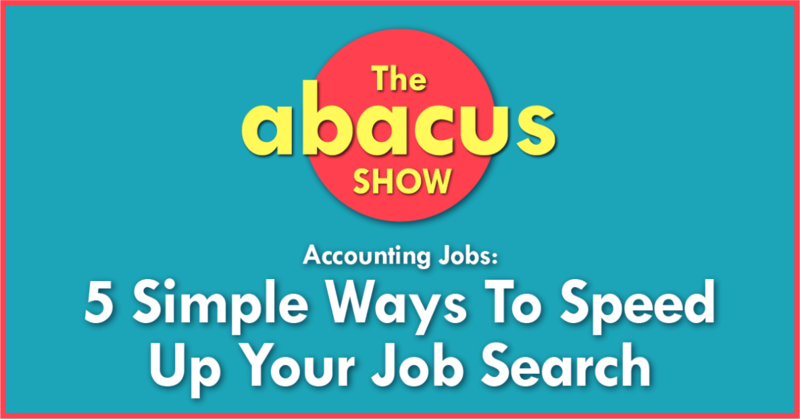 Bob the CPA: You can get links and show notes for today’s episode, and download a checklist for the five ways you can speed up your job search by visiting Abacusshow.com/202. In today’s coaching note, I’ll share with you a new way of looking at goals, and I’ll tell you why going with the flow is no way to manage your career. All this coming up on Abacus, let’s go. 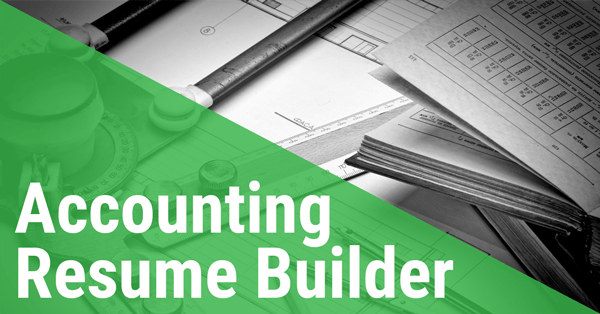 Learn everything you need to know to have a successful and fulfilling accounting career, whether you’re on the partner track or you’re making your own path, this is Abacus. Hannah, welcome to the show. Hannah Morgan: Well thanks so much for having me Bob. It’s a pleasure to be here. Bob the CPA: Hannah I asked you on today, because you’re a job search strategist, and we’re going to be talking about the five ways to speed up your job search. Before we dive into all that, I was wondering if you’d give us a little idea of your background and qualifications for how you’ve learned all this stuff you’re going to teach us today. Hannah Morgan: That’s a great question. I think part of the reason why I am so passionate about this is I myself have gone through some of the ups and downs and hurdles of careers. I have been in the workforce as a human resource generalist, so I’ve done hiring and recruiting on the temporary and permanent basis. I’ve also done outside sub services, so when companies were downsizing people, they would call in the firm I was working for, and we would help them navigate the job search process. Most of them were not prepared. I’ve also done work with the workforce development system, where people who were collecting unemployment would come in and take advantage of the free services that the One-Stops offer in in every state. I was in New York state doing this. It’s given me a really great perspective on the different issues that job seekers face, whether they’re an active job seeker. In other words, they’re unemployed, or they are employed and looking, which we refer to it as a passive job seeker. I think that there a lots of sort of common themes that people experience as they go through the job search process. Bob the CPA: Starting on those common themes, I guess. What would you say is the fastest way to get your job search going? Hannah Morgan: People don’t like hearing this, because their natural inclination is just jump right on the job boards. I have to say that the first thing that people need to do before they embark on a job search is really be clear about what their strengths are, what their weaknesses are, and really begin to pinpoint what their best suited, and what they want to do. I think a lot of people, depending on where they are in their career, and where they are on their job search, get into this slump, and say, you know what, I’ll take anything. I just want out of where I am. The grass is not always greener. If you don’t know what your strengths and weaknesses are, today’s job market is really competitive. Having the minimum qualifications is no longer enough. They’re looking for that quality, that differentiator, that would make that person a really valuable hire. The tricky part is that varies from employer to employer. We just are going about this job search saying okay, I’m an accountant and I’ve got all the basic requirements. I’m a CPA, and I’ve doing this for 10 years, that’s not enough to differentiate yourself from all the other CPAs who have 10 years of experience, because not all CPAs or accounting professionals are created equal. They have areas that they prefer to focus in on. That doesn’t mean they can’t do the other stuff but they really do have areas of strength, and that’s what’s going to help differentiate them. That is really, the most important thing. There have been so many people that I’ve met with over the years that have said things like, I just need a job. It doesn’t matter what it is. I’ll take anything, and that’s not true. As a result, people can’t help you if they don’t know what you’re looking for, and they don’t know where you’re going to be a fit. Fine-tuning that message is really critical to speeding up the job search. Bob the CPA: Just jumping back to something you said right way, is a lot of people say oh I just want out of there. That’s especially prevalent in the accounting industry. When people start out at one of these big public accounting firms, and it’s coming up on the busiest time of the year, we call busy season, January to April, depending on if you’re audit and tax, then come the Fall, which is right about when this episodes going to go live, people are scrambling to be like, I just will take any job. I don’t want to do that again. It’s really important to take a step back and say what do you want and what are you good at? I love that you put that right up front. Hannah Morgan: Right, and oftentimes we just know that we don’t like where we are, so it’s great to make a pros and cons list if you can’t identify what it is you really want next, just start with the list of pros and cons. This is what I love about my work, and the people that I work with, and my work environment. This is what I hate about my work, and the people I work with, and my work environment. From that list of pros and cons, or the love and hate, you can identify, hey the ideal company, and who knows if it really exists, but it’s worth looking for. The ideal company will have these kinds of people working for it. It will be this kind of a job. I’ll be doing primarily these tasks, and this is the kind of culture that is conducive to the kind of work that I want to do. There are different cultures out there, and it’s not publicized necessarily on the website. That’s why sort of this next step that I’m going to recommend is really important. In order to find out what that ideal company is you start with a list of pros and cons, and then you need to identify companies that meet that criteria, and we don’t know who those are. I like to call it list, lots of people refer to this, so the next step is, identify a list of 30 or so, and that number sounds huge, but bear with me, 30 target companies. These are companies that are in the world of accounting. There’s corporate accounting, or there’s accounting firms, or there’s sizes, and consultants. They are 30ish companies that you know have the ability to hire somebody who does what you do. That doesn’t mean they currently have jobs with openings. That’s irrelevant. Just the qualification and criteria for making this list of 30 is that these companies hire people to do what you do. From that list of 30, you’re gonna begin doing research on those companies by looking at their website, and by talking by people who work for that company, and get a better sense of what they like about working there. What they don’t like working in that company, how they got their foot in the door with that company, and what advice or recommendation they would give you if you wanted to pursue an opportunity at that company. How would they recommend you go about doing that? Check out glassdoor, because oftentimes there are some employer reviews on there, so anonymous employees go on glassdoor and talk about what they like about the company and what they don’t like about the company. Right now that’s sort of the primary tool out there for getting an inside look without having to talk with people. That target list becomes critical for driving your job search activity, but I’m going to take another step back, because people say to me all the time. How do I find target companies? Where would I go to find this list of companies? There’s are a couple different ways of doing that. You can just even Google the best accounting firms in your city. Or you could say look at the Inc., the Forbes list of corporate accounting. The best companies to work it. They all have that. Glassdoor even has lists of top companies to work for. Oftentimes within your city, there is a business journal that lists the top 100 companies in your city, or the city that you want to work for. If you start looking at these lists, I think what happens, what I’ve seen happen with a lot of job seekers, is that they’re surprised at how many companies there really are that they had no idea about. Finding those company or employer lists is going to begin that process of identifying 30 companies. From there, you’re going to whittle that number down, because as you do research, you will find out, ooh, no, no, no. This isn’t a company that I would like to work for. Then companies will pop on your radar that you hadn’t heard of before, and you can then add them. It’s a dynamic list of companies that you’re continually using to sort of evaluate whether or not you want to work there. Bob the CPA: This seems like a fairly involved and time consuming process. How much should people budget time wise, maybe per week if they’re thinking about leaving in the next one to two months? Hannah Morgan: That’s a really good question. They say that looking for a job is a full time job. If you’re working a job, it’s really hard to find the time to put this kind of time into a job search. Where do I start with this? The hiring process is taking longer today, because employers are being more and more picky on what it is they’re looking for. There have been some surveys and data out there that it’s taking about 30 business days for a company to fill a position, so 30 business days is longer than a month. I would encourage people that first of all this is going to take longer than you want to have happen. If you want out in two months, you need to start immediately. It’s probably going to take you closer to three. Just to be realistic, right? The more time you can invest doing the right things, and we’ll talk about that next, the better. Usually it’s going to be on weekends that you’ll have time to do this, this kind of research, and this time. It’s got to be at least a couple of hours a week. Bob the CPA: Perfect, I just like to set everybody’s expectations. People think they can just kind of show up one day, and all of a sudden a job will be handed to them, but there is a lot of work involved with going out and finding the role for you. 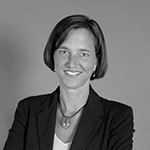 Hannah Morgan: You’re absolutely right, and the reason, all these steps that I’m talking about, the self-evaluation, and the researching companies, and identifying companies is so important, is that everything that you’re going to do based off of that information, knowing yourself and your strengths, and targeting companies will make you more effective and efficient in doing these other things. What happens all too often, and it’s an easy trap to fall into, is that people go to job boards, whether it be Monster, or a Niche site, or accounting jobs, or Indeed, and all they do for hour after hour is search the job boards. You’re not seeing a good representation of the number of jobs that are available if you’re only using the job boards. There are many more jobs available than that. People tend to get frustrated, and aren’t getting any headway when they are only applying to the job boards. Developing this target list, going back to that, will allow you to be more proactive, and uncover the hidden job market, people like to call it, by looking at the company website. Oftentimes companies will only post their job posting on their own job board. They don’t want to be overwhelmed by posting it to other places. If you haven’t gone to that company website to look at their career page, and you have missed thought job posting, you have missed out on the opportunity. If you had a list of 30 companies, you can regularly cycle through, or you can create alerts on that company website, so that you can see those new jobs as they’re being posted. It allows you to get there faster, sooner, which is obviously critical. It also allows you to proactively network. In other words, reach out to people you know who work for some of these companies that you want to work for. That’s immeasurably makes a huge difference. The total company that you may have heard of called Ernst & Young, back in 2014, said, we plan on filling about half of our jobs externally through employee referrals. Employee referrals last longer in the job, come up to speed faster, and are cheaper to fill. If Ernst & Young, just a small little company has figured that out, all other companies are following suit. This is a new trend. It’s really not a new trend. More and more companies are putting together employee referral programs that are official to attract employee referrals, because there is a better investment of their time recruiting, and hiring. The only way you’re going to get referred is if you know somebody inside a company. The only way you’re going to meet people inside a company is to identify companies you want to work for. That’s really where the circle comes into play. If you’re not identifying companies you’re going to miss out on job opportunities. Once you’ve got that list, everything that you do from that point forward is very focused. You’re going to network with people who are working with those companies. You don’t have to reach out to them individually. I’m an introvert, just like a lot of accountants. In other words, I don’t like talking to people I don’t know, but I do go to industry conferences, and I do go to meet-ups around my profession in my local city, because I know I’ve got something in common with those people. Everybody in that room that I’m talking to has a job, and they know what’s going on in the marketplace. It doesn’t have to just be one-on-one networking, it can be networking within an industry. A lot of the professional associations have local meet-ups, and meetings. If not, they’ve got online things going on and you can get an idea there. Networking is critical. Reaching out to recruiters who specialize in your area of accounting, or expertise, is also a great way to tap into jobs that may not become public. A lot of companies, as I said, don’t like the rigmarole and the hassle of dealing with all the people that are applying, so they’ll retain a recruiter to fill that job for them, or at least provide them with candidates to look at. 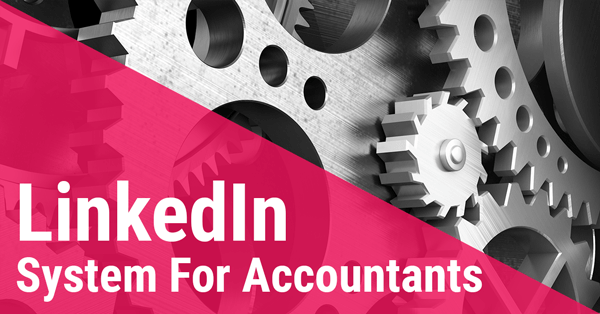 I really encourage people with that specific accounting knowledge and expertise, to reach out to recruiters, third party recruiters who specialize in accounting, and accounting related roles. Robert Half is a huge one. There are a lot of jobs that they have posted around the country. There’s probably a Robert Half office near you that has jobs that would be of benefit. Bob the CPA: For anyone who is not sure how to reach out to recruiters, the very first episode of this podcast, if you go back to season one, I’ll take a link in the show notes, but it tells you the things you should be asking recruiters to find out if they actually know what they’re talking about, especially in your local area, so go give that a listen once you’re done with this interview. Hannah Morgan: That’s a really great point, because not all recruiters are created equal. Some are better than others. I always find, your podcast is probably going to be great too, one of the pieces of wisdom or advice that I would give also to job seekers is if you are looking for a good recruiter, because people say, how do I find a good one, one of the things that you could do is ask people you know who are in the accounting world, and say, hey have you ever worked with a recruiter? Who would you recommend that I reach out to? Oftentimes, they’ll say, oh, yeah, I love this person, reach out to them, they’re great. Word of mouth referrals for recruiters just like any other service provider does carry a lot of weight. Bob the CPA: Absolutely, and maybe if you’re still in your firm, you’re afraid to ask your peers, because you don’t want anyone to know you’re leaving. You can always reach out to people who are on your team the last couple years who’ve already left. I’m sure they still have a couple recruiters they worked with, either when they were leaving, or maybe they’re working with them currently. There’s a whole lot of places you can go ask for that. Hannah Morgan: Great, good, good. The other thing that’s really important is to get help. We tend to think that we can do everything ourselves, and I get it, people are trying to save money and we want to be smart. I’m not suggesting that people go hire a private coach, but I will say that job search today is very different than it was five years ago, so if it’s been a couple of years or more since you’ve last looked for a job, you need a refresher. You need to update your knowledge around how job search is happening, and what those trends are. I think the other thing that people need to really understand around getting this help is, we often need a support network of people who can help hold us accountable. We talked about this in the beginning of the conversation, that this does require a serious time commitment. If you’re not giving it two hours weekly you can’t stay on track with that. Buddy up with somebody, that you can work with to hold each other accountable to meet some of these goals that you’re setting for yourself to be productive in job search. It’s really easy to get discouraged. Rejection is part of the job search process, and so finding that accountability partner is going to help lift your spirits, keep you on track, and just keep you moving forward. Bob the CPA: That’s a good point about rejection, and kind of getting down. Even if you nailed the interview, and they really want to come hire you, it could take them a couple weeks to get it through all the proper approvals, and maybe the hiring manager’s on vacation, or the HR manager’s on vacation, and then you just don’t hear anything back, and you start kind of getting down on yourself, beating yourself up, wondering what you did. You just got to kind of relax a little bit and know that this is a long process, and some of them are going to work out and some of them aren’t, but you can’t take it personally. Hannah Morgan: I know, and I think that, that is such a good point. It’s so easy to take this personally. I mean gosh, you’re putting yourself out there, and it really oftentimes has nothing to do with you. I mean, when I’ve seen some of the reasons companies have decided not to hire a person, in most cases it has nothing to do with the individual at all. It is that their boss told them that they had to promote somebody internally, or that the president of the company had an uncle who wanted the job instead, so they gave it to him. The company decided that they were going to put a hold on the job all together, and they weren’t going to move forward with it. There was just another candidate that came out of the blue that had amazing qualifications, and they got hired. There are so many reasons why you may not be selected, and it is just part of the process. As far as getting help, one of the things too, those myths that I want people to break is that you’re going to be able to negotiate your next salary, and I want people to understand there are no rules, the guidelines on how to negotiate, and when to negotiate. If you don’t know how negotiate your job salary, because you didn’t do it last time, or you didn’t think you could. I’ll tell you, you absolutely can, and should try to negotiate your salary and/or the terms of your employment. Your salary may not be everything, it may not be the most important criteria, and I’ll tell you heading up, you cannot negotiate during the interview process. The only time you can negotiate is after you’ve reached the offer, and an offer, in case you don’t know, sounds like we’re prepared to offer you a job. We want you to start this date, making this amount of money with these terms. If you haven’t heard those words, you haven’t seen that in writing. You can’t negotiate, so don’t try. Bob the CPA: Oh, that’s another great point. A lot of people think they go, oh we really like you, we’d probably like to bring you on, and that is not an offer at that point. Hannah Morgan: No, it’s not an offer. It isn’t great, I look forward to seeing the offer that you’re going to present to me. When can I look forward to seeing that, says the job seeker. 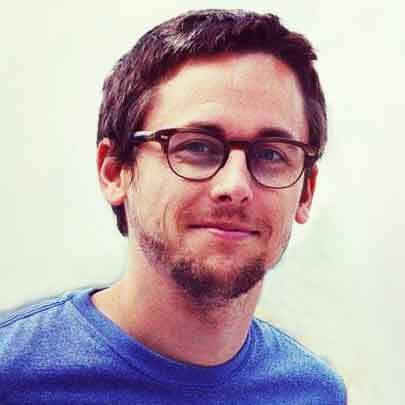 Payscale.com has a very nice negotiating guide with tips, and tricks, and guidance on negotiating your job offers. I would encourage people to become familiar with at least negotiating in some way, shape, or form. Bob the CPA: That’s a great resource. Everybody go and check that out. I’ll also include a link to that in the show notes for today’s episode. Hannah Morgan: One of the things that more and more employers are doing across industry is tapping into social media to learn more about candidates, so social media is broad and big. One of the places we know employers and recruiters are going to source and vet, research, investigate, whatever word you want to use, candidates, is LinkedIn. When they’re going to Linked in, they expect to find at a minimum what’s on your resume, or more. Hopefully more. There’s a great opportunity I think for job seekers to do more with their LinkedIn profile to give a recruiter a better sense of who you are. If there’s nothing there, if it’s a blank slate, if you’re not there at all, that’s a red flag. I want people to take that more seriously. Bob the CPA: I completely agree. I want to say my last three jobs were from recruiters who found me on LinkedIn. A lot of people get frustrated because they do all this work and then they don’t get a job the next day with it. It’s kind of a long-term thing, but it’s really important to have out there. Hannah Morgan: Absolutely, key words are critical in skills, so if you think about all of those crazy job descriptions, and all of those key words, and terminology, and the technical skills required in the accounting field, those have got to be within your LinkedIn profile in order for you to show up in a recruiter’s search. That’s why I say by getting hip with today’s job search trends and what’s going on, you should know how to use LinkedIn. Bob the CPA: For anyone who’s interested, there will be a link to, I also have a LinkedIn book on Amazon or I have it for free on the website, so I’ll link to that in the show notes also, especially that SEO portion, it’s the final chapter. You can also go check that out for free after you listen to this episode. Hannah Morgan: You’ve got it all covered my friend, right? Bob the CPA: This is good, yeah. Just a real quick recap, you want to start out by deciding what you want and what your value is. You want to identify a list of 30 target companies and start doing some research and networking. You want to network with people not only in those companies but also with recruiters in your area. You want to not be afraid of getting help, and then you want to make sure that in today’s job market you’re using social media and LinkedIn to the full potential. Is there anything I missed there? Hannah Morgan: You got it. I think if they do, the part of that is making sure you can invest the most amount of time in the right kinds of activities, which is obviously networking and being proactive, and reaching, out and tapping into inside connections. Bob the CPA: Fantastic, so Hannah before I let you go is there anything I didn’t ask you about or we didn’t talk about that you want to make sure the audience knows today? Hannah Morgan: You know one thing you said already, and it think it’s really worth reiterating, reemphasizing the fact this is probably going to take longer than you want it to take. The employers are dragging their feet, so prepare for the worst case scenario knowing that you’re not be out of your job tomorrow, it’s probably going to take you a while. I think the good news for those people who are employed and looking, is that being employed and looking makes you more marketable, than being unemployed and looking. Don’t quit your job to invest more time in job search, always have a job, because it does give you more clout, you’re a more attractive candidate. Bob the CPA: Then where can people find you online if they want to check upon what you’ve been writing or anything you’ve been putting out recently? Hannah Morgan: Yeah, I have a website, it’s called careersherpa.net, and I regularly, at least a couple time a week and posting content there with different tips and advice on what’s new in the job search world. I’m also really active on Twitter @CareerSherpa and Hannah Morgan on LinkedIn, so invite anybody to connect with me in those places as well. I love social media. Bob the CPA: Fantastic, all right Hannah, thank you so much for coming on the show today. This is awesome, and I really appreciate you taking the time. Hannah Morgan: You’re welcome Bob. Thank you so much for having me. I look forward to sharing this when it goes live. Bob the CPA: Earlier in this episode you heard from Hannah that the first thing you need to do to speed up your job search is to take a good long look at yourself to identify both what you want, and the skills and experience that you have that will help you get there. Goals are so important, because leaving things to chance is no way to manage your career. Going with the flow will only take you so far. Sometimes it takes you to the beautiful ocean, and sometimes right down to the sewer. It’s a crap shoot, and you shouldn’t leave your career up to chance. Today, let’s talk about how you should be thinking about goal setting. The first thing I’d like to say is that goals are like a compass, they’re not a roadmap. Success is a journey with a constantly changing destination, and it’s natural for your goals to change over time, so it would be silly to expect there would be a roadmap all laid out of you. Instead set clear goals and use a compass which points you in the right general direction. Then be ready to make adjustment as you learn and grow over time. Imagine you journey to success as a round of golf. Even if you’re on the hole with a hill, you still know the right general way you need to hit the ball to get to the pit. Keep hitting the ball in the right general direction, and eventually, you get there. Once you do get there, it’s time to set a whole new goal and start again on the next hole. No one hits a hole in one every time. Sometimes you duff a shot or you hit a tree. It happens, just roll with it, and learn from it. Along the way you may decide to quit and play a completely different game. Ending a round of golf early to go play with your kids isn’t failure, and neither is reevaluating your career goals in light of your changing personal goals. Priorities change over time and so will your definition of success, but the most important thing to take away is you need to actually set goals. You’re constantly moving forward at full speed, but are you going in the right direction. Without clear goals, both personal and professional, you have no way of knowing. You have no compass. This is when you start working long hours to get a promotion, when you hate your job, or you buy expensive cars and a huge house when all you really need is a one bedroom apartment and an old Civic to get to work. You binge drink and party on the weekends, and then complain that you never had the time to learn to play the guitar. It’s important to remember that none of these things is inherently wrong, but they may be wrong for you right now. Unless you take a couple minutes to reflect, you’ll just drift through life, or follow other people’s goals, and you’ll be a failure without even knowing it. That’s your coaching note. Thanks for listening. If you’re new to the show, you can catch up on all of our past episodes, and get access to tons of training courses, cheat sheets, articles and downloads by visiting Abacusshow.com. Hannah has a history of both hiring employees, and helping job seekers. Through her time working in HR, recruiting, and outplacement she’s learned some common mistakes job seekers make, and how to make your next job search go more smoothly. Now she shares what she’s learned at her web site, Career Sherpa.